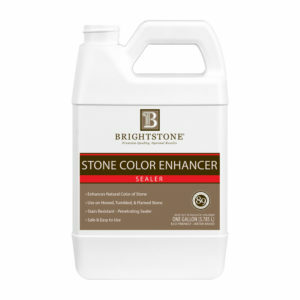 Brightstone, Inc. manufactures stone care products that are safe, simple to use and technologically advanced. We offer practical solutions and time tested methods for sealing, cleaning, restoring and beautifying natural stone including marble, limestone, granite, and sandstone as well as other masonry such as concrete, clay tile, pavers and grout! Prevent stains on marble, granite and other natural stone with safe water-based sealers while forming invisible barriers on stone surfaces. 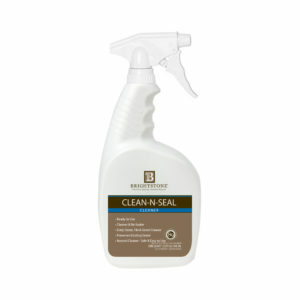 Clean, maintain, remove stains and coatings with safe and environmentally responsible formulations. 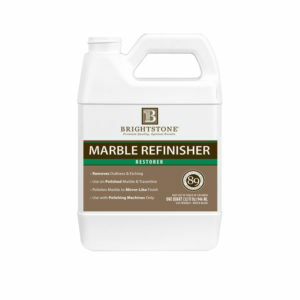 Remove dullness, mild abrasions and etch marks from polished marble, travertine, limestone and onyx. 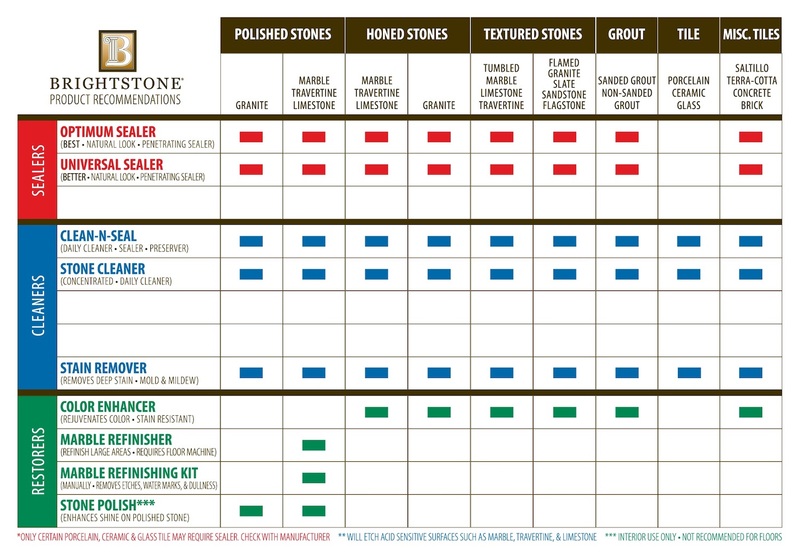 Enhance the color and the polish of stone. We personally support our customers with technical information available via toll-free telephone, e-mail, fax or postal mail.